It is said that westerly winds help the BJP in Uttar Pradesh. Some had made this remark while speaking on the reasons for the BJP's massive win in the state in the 2014 Lok Sabha election and the 2017 Assembly election. 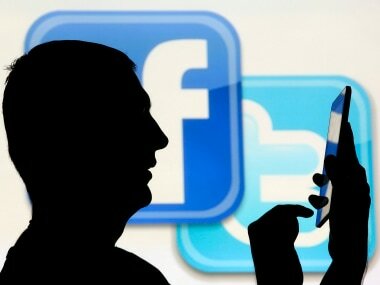 The claim is made by some analysts as well as some of the party's critics. The region has a substantial number of communities which, as per conventional wisdom, have not traditionally been BJP voters, such as Muslims, Jats, Dalits and Yadavs. Top leaders of the mahagathbandhan such as Mayawati, Mulayam Singh Yadav, Akhilesh Yadav and Ajit Singh belong to western Uttar Pradesh. In 2014 and 2017, it was not considered to be a good thing from the BJP's perspective for multi-phase elections to begin from western Uttar Pradesh and then progress to the central and eastern parts of the state. There is a belief that the first and second phases of an election set the trend and impact polling pattern in the rest of the country, or the state. With 80 Lok Sabha seats, Uttar Pradesh is the country's most politically critical state. In 2014, the BJP created history by winning 73 of these seats. The poll schedule this time is broadly the same as during the previous election. Will the "westerly" winds blow again? 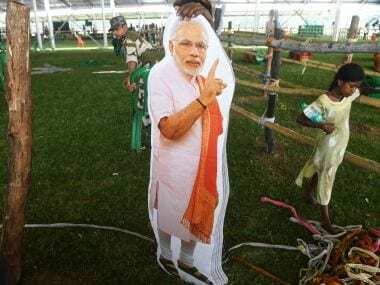 This time around, the BJP has devised a slightly different strategy, a glimpse of which was the way the party planned Prime Minister Narendra Modi's rally. 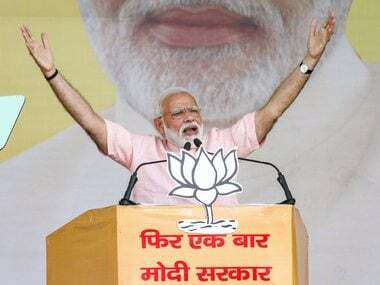 On Friday, Modi chose to address two rallies at Amroha and Saharanpur. Both constituencies will go to the polls in the first phase of the election on 11 April, and both have a Muslim population of over 40 percent. Modi had not been to these places either in 2014 or in 2017. While Modi is a very powerful speaker, he has been the prime minister for five years. This time, his popularity will depend not just on generating hope for the future, but also on whether he delivered on his promises. It will be seen whether Modi, despite being in power, has the same capacity to demolish political rivals, not just on rhetoric, but also on merit. In Saharanpur on Friday, the turnout was mammoth. It was a packed ground, and there were a good number of people outside the ground as well. That must have been very gladdening to the hearts of the organisers, and to Modi. The response of the crowd, which cheered lustily, clapped and chanted Modi's name would have been even more enthusing. In both Amroha and Saharanpur, Modi used a mix of rhetoric and facts, and engaged with the audience in his trademark way. On numerous occasions, he paused, at which time the crowd chanted his name. 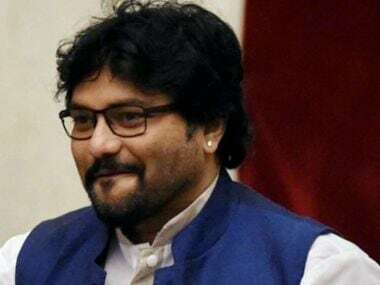 In obvious references to the air strikes at Balakot and the surgical strike in Pakistan-occupied Kashmir, he asked, "Who entered the homes of the enemy, and the terrorists to strike against them? Who brought looters (a reference to Christian Michel and others) back to India? Who has the capacity to send looters of public money to jail?" Modi clearly is trying to give the elections an emotive turn – a nationalist pitch revolving around zero tolerance on national security and a fight against corruption, and against those who were earlier considered beyond the scrutiny of the law. The Nehru-Gandhi family is expected to figure on top of his agenda. “There was a time when nobody would dare to frisk them at the airport, people would salute them, but they (in a reference to Sonia Gandhi, Rahul Gandhi and Robert Vadra) are on bail today. They used to think that they are writers of India’s fate, but today, they are trying everything to avoid going to jail," Modi said. Saharanpur is going to see a very interesting pre-election contest — one of the crowd-gathering capacities of various parties and leaders. On Sunday, BSP chief Mayawati and SP chief Akhilesh Yadav will kick off their joint campaign from here. The two parties, which are foes-turned-friends, are obviously trying hard to make the proposed rally a big success. A day later, on Monday, Congress president Rahul Gandhi and general secretary Priyanka Gandhi will hold a joint rally, the first such rally ever outside of Amethi and Rae Bareli, to campaign for Imran Masood, a person who threatened to chop Modi into pieces in the run-up to the 2014 parliamentary polls. The Congress, of course, has thrown all its might into making this rally a grand success. The extent to which crowds at rallies translate into votes will be known only when votes are counted on 23 May. On Thursday, the Enforcement Directorate submitted a fresh chargesheet in the AgustaWestland case and stated that the alleged middleman mentioned that "AP" meant Ahmed Patel, and "fam" meant family. This gave fresh ammunition to Modi to accuse the Nehru-Gandhi family of corruption. The prime minister asked at the rally, "You tell me, which family is Ahmed Patel close to?" Modi called the Congress' manifesto a “dhakosla patra” (a document of lies). The prime minister also made veiled references to the 2013 Muzaffarnagar riots. He spoke at length about the plight of the businessmen in Saharanpur, Kairana and Shamli, and about the alleged harassment of girls and women during that period. Modi also targeted Ajit Singh, RLD chief and the mahagathbandhan's candidate from Muzaffarnagar, and his son Jayant, a candidate from Baghpat. He sought to send a message to the Jat community that Singh, his son and the RLD betrayed them by joining hands with those who either backed or tacitly supported the "other community" during the riots. He asserted that Chaudhary Charan Singh’s soul "would not forgive them." The prime minister also made a reference to Imran Masood's statement from five years ago, in which he had said that people would "cut him into pieces" ('boti-boti kaat denge'). Modi said, "They talk about 'boti, boti', we talk about 'beti, beti.'"